Thermal detector technology such as microbolometers have become more commercially available and affordable in the past five years primarily driven by a manufacturable wafer level fabrication process for these detectors. A recent DARPA program called Wafer level Infrared Detectors (WIRED) is exploring new integration schemes for developing low cost photonic detectors, which have higher speed and sensitivity compared to thermal detectors. Such efforts will require wafer level characterization of photonic detectors with rapid throughput of figures of merit. This thesis compares the performance of mid-wave infrared (MWIR) photonic detectors using a conventional cryostat and a micro-manipulator probe station to extract specific figures of merit needed to assess the device performance. Two different strained-layer super-lattice mid-wave infrared (3-5.5 μm) detectors were characterized using each system to benchmark their performance in these two systems. The results show that the micro-manipulated probe station test system is quantifiably similar to the cryostat research test system to within a 5% error over a large temperature range (300K - 150K). Below 150K, the dark current in the micro-manipulator probe station test setup was higher than the cryostat test setup. This could be due to the background illumination in the probe station or inadequate thermal contact. By undertaking some diagnostic measurements, it was found that the cause of the discrepancy was the thermal offset between the micro-manipulator probe station sample mount and the leadless chip carrier (LCC) carrying the sample. This thermal offset was due to a mismatch of thermal conductivity and coefficient of thermal expansion (CTE) that led to the delamination of the LCC from the sample mount due to the inadequate thermal contact between the two surfaces. To ensure thermal contact, fastening the LCC to the sample mount would improve the probe station performance to be similar to the cryostat at temperatures below 150K. Because the probe station is designed to characterize detector material without tedious wirebonding and expensive leadless chip carrier waste, we can conclude it can be used to characterize detectors at the wafer level providing a higher throughput compared with a traditional cryostat. 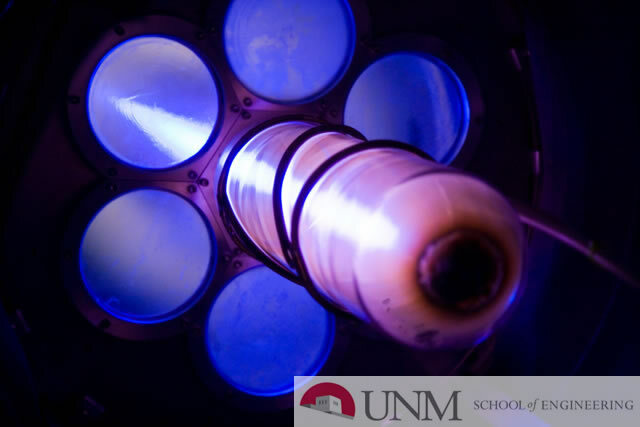 This work will allow future detector characterization to be completed using a probe station instead of a traditional cryostat test system, thereby reducing the test and measurement time for infrared detectors.